Sabine Wren was a Mandalorian warrior and member of the Ghost crew in Star Wars Rebels. She, along with Hera, Kanan, Ezra, Zeb, and Chopper carried out numerous missions against the Empire that would help lead to the creation of the Rebel Alliance. 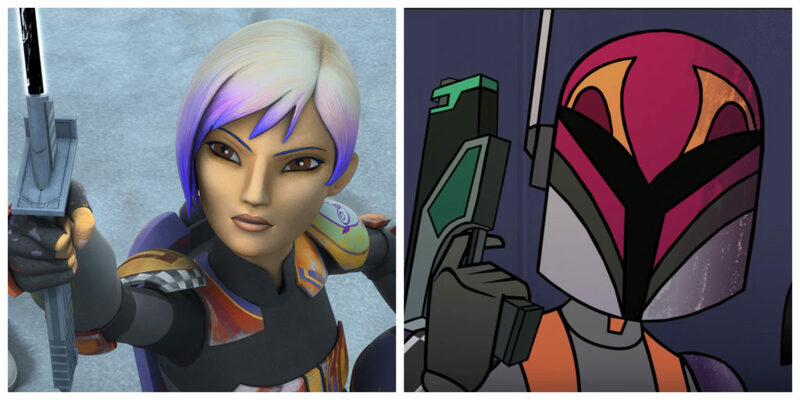 Sabine Wren was voiced by actress Tiya Sircar. Sabine’s onscreen debut was in the short “Art Attack” which you can see below. Sabine was a talented artist and had a knack with explosives. Throughout four seasons of Star Wars Rebels, viewers learned more about her family on Mandalore, her history with the Empire, and saw her grow into a leader who never forgot her friends. You can also find Sabine in a few Servants of the Empire books, the Kanan 12-part comic series, Sabine My Rebel Sketchbook, several Forced of Destiny shorts, and the comic story “Endangered” which appeared in Star Wars Adventures 7 & 8. 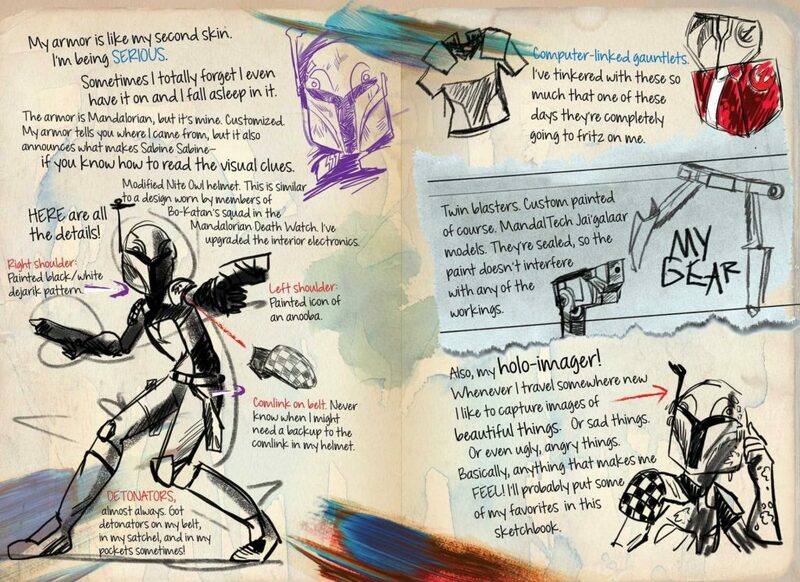 From Sabine My Rebel Sketchbook by Daniel Wallace, illustrations by Annie Stoll.